The amount and type of media coverage currently given to human rights in the UK could easily lead people to think they are used inappropriately to protect the rights of criminals and terrorists. Newspaper headlines often claim that European judges are telling our politicians and judges how to do their jobs, even going as far as to tell the UK to change its laws. Following the decision that the UK’s blanket ban on prisoner voting was in violation of human rights, and the case of Muslim cleric Abu Qatada resisting extradition, many people have criticised the accuracy of human rights law. These two cases aside, it is important to understand how human rights law can be used to protect the interests of the common citizen. In reality, human rights law is used by many different people every single day; whether it is an employee arguing that he or she was unfairly dismissed, or a tenant fighting back against an unruly landlord. Human rights law can help all of us. This guide aims to explain the background of human rights law in Europe and the UK. The fundamental root of the European Convention on Human Rights (ECHR) – the leading human rights law instrument – was introduced to ensure that the atrocities committed during the Second World War would never be repeated again in Europe. This convention is not just another treaty; it, along with the European Court on Human Rights, is completely separate from the European Union (EU) and has practical legal effect in Scotland. This introductory guide will outline how all citizens can use it if their rights are being threatened. What is the difference between the EU and the Council of Europe? 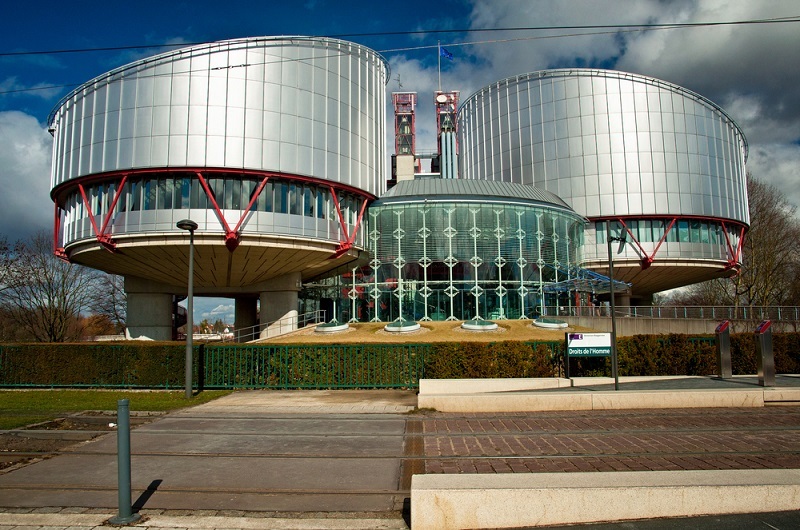 What is the ECHR and what does it protect? Where does the ECHR fit into the UK legal system? What is the European Court of Human Rights and how do I take a case there? Many people have difficulty getting their heads around the numerous institutions and entities within Europe. It is worth noting that the ECHR was not created, nor is it controlled by, the EU. The Committee of Ministers: the ‘executive branch’. Responsible for implementing resolutions and decisions relating to the application of the ECHR. The Parliamentary Assembly of the Council of Europe (PACE): the ‘legislative branch’. These are not MEPs; instead, they are representatives selected by each member state without a general election. The UK has 18 representatives. They discuss and legislate on ECHR policies that they feel should be implemented. The European Court of Human Rights: the ‘judicial branch’. Every one of the 47 member states has one appointed judge who serves a nine-year term. Note: this has no relationship to the European Court of Justice, which is the EU’s court. The ‘jewel in the crown’ of the Council of Europe, as they themselves say, is the ECHR. The Council of Europe is primarily focused on human rights, unlike the EU which deals with competition law, free movement of persons, and so on. Judges are elected by the PACE. The election takes place based on a list of three candidates submitted by every member state and elected by the whole of the PACE. Every list must include members of both genders, but importantly, the judge need not be a judge in their own country. It is possible, and frequent, for politicians and civil servants to be appointed judges. In the UK, where judges are appointed and progressed through the judicial rankings based on merit and with political bipartisanship, this can be difficult to understand. The judges, representing 47 member states, clearly also represent a wide variety of conflicting political and cultural beliefs. The ECHR is often termed a ‘living instrument’, meaning it is constantly open to new interpretations by these judges, in light of present day conditions. For instance, the ‘right to free elections’ has been interpreted to mean that you cannot have a blanket ban on all prisoners voting (despite no mention of prisoners in the text of the ECHR). The ECHR, available here, contains numerous articles. The main rights which we, as ordinary citizens, will recognise can be found in Articles 2–14 and include things like: the right to life; the prohibition against torture and ill-treatment; the right to private and family life; the right to freedom of religion; the right to freedom of expression; and more. Other parts of the convention also contain rights, for example, Article 1 of Protocol 1 protects the right to hold property and Article 3 of Protocol 2 contains the right to hold free elections. These are all rights which we expect the UK to uphold. They are a mixture of negative obligations – rights which the state must not violate – and positive obligations – rights which the state must take positive steps to protect. The text of these articles are very short; none of the articles mentioned are longer than two paragraphs. With the exception of the prohibition against torture, which is ‘absolute’ (meaning that a state can never legally justify torturing someone), all of the other rights are ‘qualified’ (meaning that the right can be interfered with by a state if certain criteria are met). It is worth understanding the distinction between ‘interferences’, where someone’s right has been infringed in a way which may or may not be justified, and ‘violations’ or ‘breaches’, where an interference has occurred which a state cannot justify. This is a fundamental part of human rights law because often two or more people will be relying on opposing human rights. For instance, a journalist has the right to freedom of expression and to publish information in a newspaper, but this might interfere with another person’s right to a private life. Whether the interference is justifiable, or is unjustifiable and a violation, is a question of fact. This type of conflict is seen daily between celebrities and the paparazzi. 1: An interference with a right is ‘prescribed by law’. This means that there is a law which allows the state to interfere with a right. Such an example in the UK would be the law of defamation: you cannot use your freedom of expression as a writer to publish information which is knowingly a lie and which can damage the private life of another person. 2: The interference pursues a ‘legitimate aim’. In the previous example of publishing an untrue claim which damages somebody’s reputation, the state clearly has a legitimate aim of preventing this behaviour and it is for this reason they have made legislation to protect people. 3: The interference is ‘necessary in a democratic society’. This requires balancing the interests of everyone within society and asking the particular question, in this example, of whether a democracy ought to accept damaging someone’s reputation on the basis of spreading lies. With the example used, most people would agree that interfering with a journalist’s human right to freedom of expression would be justified by creating laws surrounding defamation; in other words, the innocent victim’s right to protect his or her private life supersedes the journalist’s right to expression. But, even if it seems obvious that telling and spreading lies should be illegal, the state is interfering with a human right when creating laws against it. The same applies for putting someone in prison; every individual has a right to not be deprived of his or her liberty. The issue of human rights constantly affects us and there will always be conflict and need for balance. How this balancing act is carried out by UK institutions, and particularly by the European Court of Human Rights, will therefore be open to scrutiny in difficult cases. The ECHR was created soon after the Second World War, but what is more often referred to is the Human Rights Act 1998 (HRA) which was adopted far later. What the HRA did was to bring the ECHR into the UK’s legal system. Before the HRA, a person could go to the European Court of Human Rights, but that was – and still is – an extremely long and arduous process (discussed in further detail below). You could also still use the articles of the ECHR in an argument before a UK court of law, but the extent to which a British judge had to interpret the text was very open and not subject to any real scrutiny. What the HRA did was to make these rights real. For example, as mentioned in section 6 of the HRA, it is now unlawful for a public authority (in other words, a body or person deriving its powers from the UK Parliament) to act in a way that is incompatible with the rights protected under the ECHR. And if they do act in such a way, a person no longer needs to go straight to Strasbourg; they can make arguments based on the ECHR in any of the UK courts. That court must then apply the ECHR, interpreting UK legislation in light of the ECHR and taking into account any relevant decisions of the European Court of Human Rights, which may provide additional issues to consider (see section 2 and 3 of the HRA for more details). This can provide victims with remedies, and, as per section 7, it allows courts to declare a piece of legislation incompatible with the convention rights. However, a declaration does not ‘strike out’ that piece of law. It merely informs the UK that the law needs to change – and most of the time, the UK Government and Parliament will then seek to amend the law. But, ultimately, Westminster is considered sovereign and cannot be forced to change its laws. The UK’s unwillingness to implement a judgment from Strasbourg was seen recently when its policy on sensitive data retention was deemed incompatible with ECHR rights, as was its blanket ban on prisoner voting rights. There is a slight difference in Scotland, where, according to The Scotland Act 1998 s.57 , if an act of the Scottish Parliament is not compatible with the ECHR then a judge can say that such a piece of legislation is simply not law. This is because the Scottish Parliament derives its powers from Westminster (which remains in overall control) and therefore can be subjected to greater constraints by the legal system. Aside from this slightly legalistic distinction, the HRA 1998 makes the ECHR far more real for the average British citizen. An individual can go to a local sheriff court and plead human rights arguments in his or her defence. This has become relatively standard in criminal cases now. Consequently, some argue that human rights are used by people who are not deserving of their rights. It is true that terrorists and convicted murderers make human rights arguments based on the ECHR in our courts, and have been successful. But, in defence of the current system, it was not long ago that the general consensus was that the death penalty was appropriate; or that it was acceptable to beat children in schools; or that it was fine for people detained by Scottish police to not have access to a lawyer. In hindsight, most would look back and be shocked that these beliefs were considered mainstream and legal. It is only in the last 40 years, with legal challenges based on the ECHR, that such measures are no longer accepted. With the latter example, it was only four years ago that the UK’s highest court found that the lack of access to a lawyer upon detention was incompatible with an individual’s human rights. As a democratic society, the UK must always justify any interferences with human rights, no matter what the person has done. The European Court of Human Rights, based in Strasbourg, is not another UK appeal court (or at least it is not meant to be). It is a guardian and watchdog of the ECHR and seeks to ensure that human rights are upheld by all member states. It can tell the UK that it ought to change its laws, and has the power to order financial remedies and to use political measures as persuasive tools. But importantly, it cannot directly change the law of the UK. This is why the decision by the European Court that prisoners ought to have the right to vote in general elections does not mean that prisoners in the UK now have this right, and the UK Government has seemingly now put the issue to the side. An application must be made properly (guidance is available here). An application must be made by a ‘victim’ (see Article 34 of the ECHR). It must be made against a member state of the Council of Europe. It must rely on one or more of the articles of the ECHR. The case must be ‘admissible’: a guide to admissibility can be found here. The application must not be ‘manifestly ill-founded’. For example, an individual must have tried all possible avenues available domestically before applying to the court; you cannot skip past the UK’s courts and go straight to Strasbourg. The European Court of Human Rights can sit as an admissibility hearing, a chamber, or a grand chamber. It is possible, if the case is serious enough, to go through each of these stages. There are a lot of issues with such a system; one court dealing with the problems of 47 member states is obviously going to have difficulties. There is often a backlog of cases, meaning it is not a quick process to apply to the court. Interim measures can be sought if the case is urgent enough (for example, if deportation is imminent), but realistically it takes a lot of time and money to have a case heard there. These difficulties – alongside the previously mentioned issue of judges and their method of appointment – opens the system up to a great deal of criticism. It is worth emphasising that the ECHR is not the only human rights law mechanism available in the UK. There are other international treaties and conventions which the UK is a party to. The UK’s common law has recognised human rights since well before the ECHR, and those judge-made rules still apply today. But, importantly, the ECHR, backed up by the HRA, gives real enforceable rights to those living within the boundaries of the Council of Europe. The system is far from perfect, and there are multiple issues, particularly with a court system that tries to simultaneously deal with 47 countries, but, for many, it provides a last opportunity to see justice carried out. A referendum on whether or not to leave the EU (which may happen in the next few years) will have absolutely no direct link to our continued involvement with the ECHR or the European Court of Human Rights. Before the ECHR, the death penalty was accepted practice. Even within the last few years, it was lawful for the Scottish police to detain someone without giving them the legal right to speak to a lawyer. Human rights law has changed what would now be considered by most people as unjust measures. Human rights law can be used by any individual in the UK in all of our courts and even as far as the European Court of Human Rights in Strasbourg.